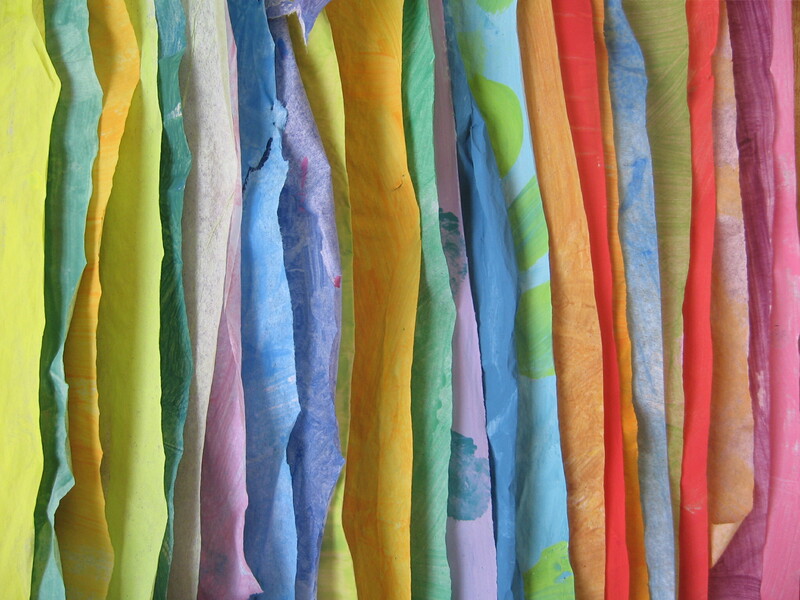 Ever wonder how art teachers are able to facilitate magic making in the studio? The answer is everywhere at the recently published site, Art Engine. It is an online archive of meaningful art experiences for children. Basically, it is an art teaching collaborative that publishes weekly posts of art lessons and makes it super simple for a teacher or caregiver to search by category, theme or art material. I have shared a quick look into a hand painted paper making activity that was recently featured at Art Engine. The complete art activity with a motivation, lesson developement and material list can be found at Art Engine. 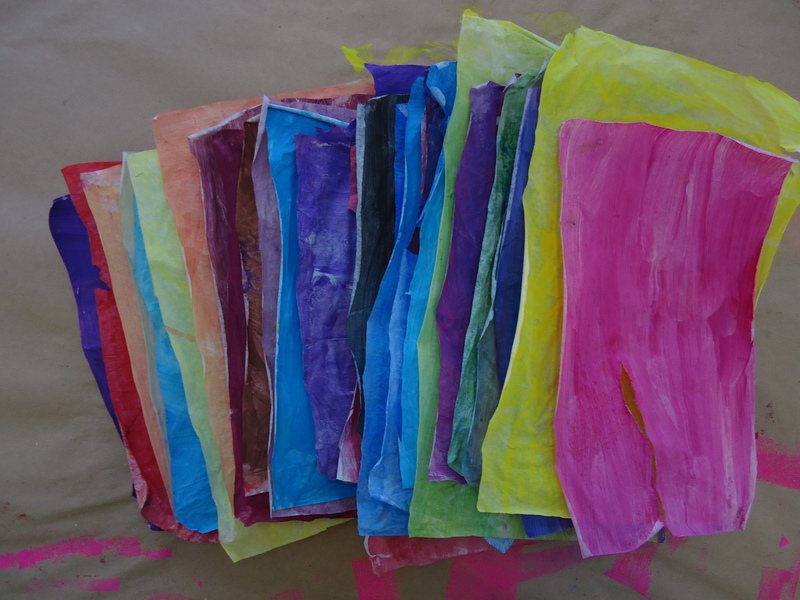 In Hand Painted Papers, Art Engine offers a tutorial on how to make vibrantly colored papers for collage by painting tissue paper. The post shares insight into adding a small amount of white to increase the opacity of the mixture for maximum boldness. Successes for paint set up and process is shared as well as a motivation to begin the lesson and inspire students to think and work like painters. Using tempera paint mixtures of various colors, use a gentle brush to cover the entire sheet of 8×10 inch white tissue paper. Use a new sheet for each new color. After the tissues sheets have dried, add textures with printing tools to the dry solid sheets in new colors that are darker or made lighter with white. You may be fearful that the tissue is too thin and may not hold up to a moving brush, but it rarely tears. The thin, pliable quality of the tissue makes it easy to cut and glue down to the surface. Modge Podge or any adhesive plus gloss/matte medium product works best for collaging hand painted tissue because the paper is so thin. Have students coat the area where they want to glue first then place the tissue over it and paint on top as well. A glossy adhesive like Modge Podge creates a clear stunning finish when applied over the collage. Art Engine suggests having students collage over foamcore stars as well as on paper.